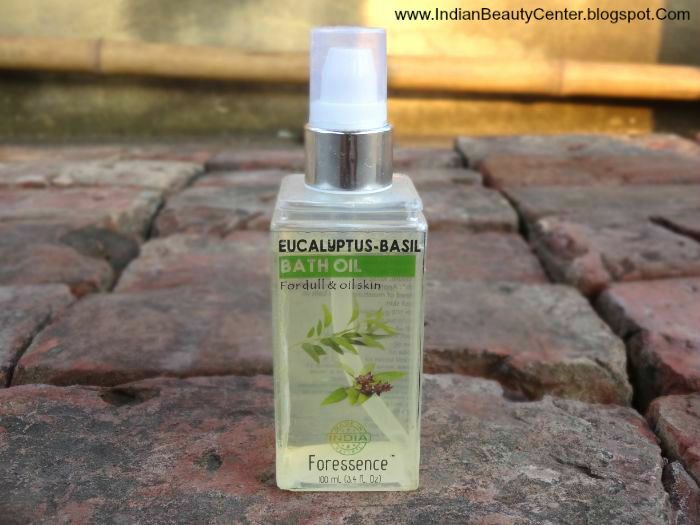 Product Description : Get rid of oil on your skin by applying this Eucalyptus-Basil Bath Oil from The Nature’s Co. Enriched with vitamins, this bath oil helps healing the damaged skin and also act as a massager. Apply it on a damp skin after a shower for a fresh and rejuvenated feel. The refreshing, penetrating aroma of eucalyptus is both relaxing and stimulating. It calms and heals damaged skin. The refreshing, penetrating aroma of Eucalyptus is both relaxing and stimulating. It calms and heals damaged skin. 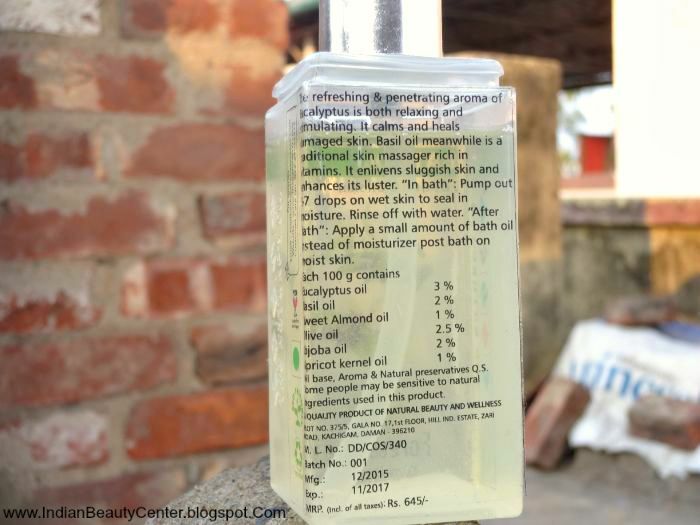 Basil oil meanwhile is a traditional skin massager, rich in vitamins. It enlivens sluggish skin and enhances its luster. “In bath” : Pump out 5-7 drops on wet skin to seal in moisture. Rinse off with water. “After bath”: Apply a small amount of bath oil instead of moisturizer post bath on moist skin. Ingredients : Eucalyptus Oil, Basil Oil, Sweet Almond oil, Olive Oil, Jojoba Oil, Apricot Kernel Oil. Directions for use : IN BATH : Pump out 5-7 drops on wet skin to seal in moisture. Rinse off with water. AFTER BATH : Apply a small amount of bath oil instead of moisturiser post bath on damp skin. It comes in a rectangular bottle that looks really attractive. The packaging is tight but I would want to transfer it to another bottle for travel-purposes. 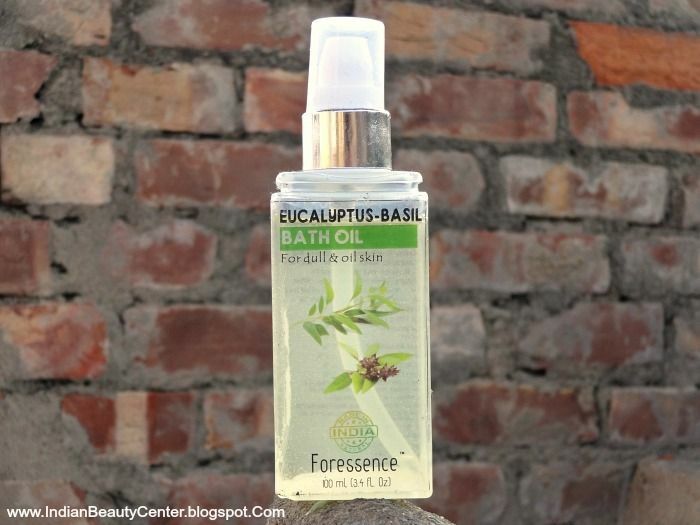 It belongs to TNC's Foressence range of products and it contains the goodness of Eucalyptus oil and Basil! It is almost colourless and transparent. 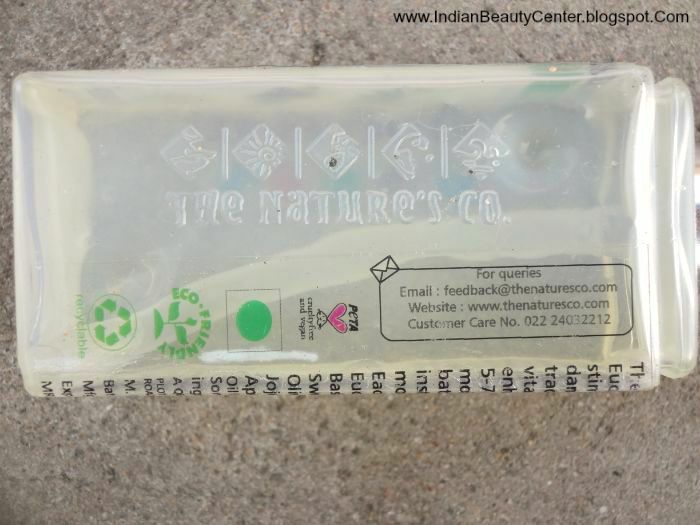 It has a fragrance of eucalyptus oil, minty and herbal-fresh! I like the fragrance and also the fact that it does not linger onto the skin. You can use this In Bath or After Bath. I prefer using this In Bath as it seals in the moisture and leaves behind no oily feeling at all. This gets absorbed into the skin well and leaves nothing behind. It makes my skin soft and moisturized and after using this, I do not feel the need to use any moisturizer. But during winters, you might need something more nourishing. Also, dry skin will definitely need something more moisturizing. 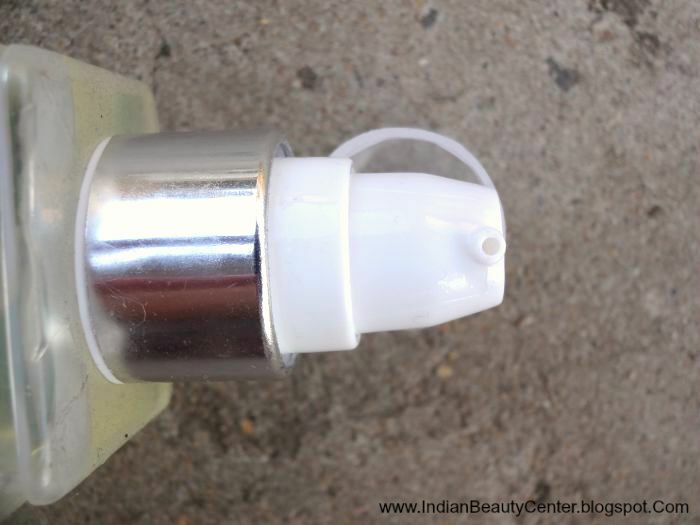 But for my normal body skin, this works well and I can definitely use this during summers. The price is on the higher side but the quantity provided is good. Overall, this is a good bath oil that moisturizes the skin, making it soft and supple but leaving No residue or greasiness behind. Perfect for summers! Final verdict : If you want lustrous skin that looks well moisturized without feeling greasy then this is for you. 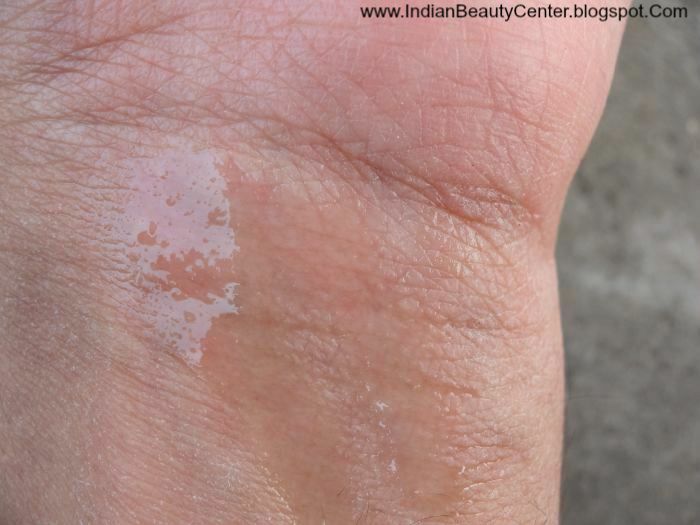 If you have dry skin, you might feel the need to apply a better moisturizer. I love the fragrance and I will definitely use this during summers when I feel too lazy to apply a moisturizer on my body skin. It makes the skin soft without making it slippery!